Gain instant reputation for the software download with extended validation of the company, Microsoft SmartScreet and two-factor authentication. 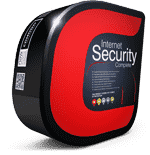 Comodo Secure Site Seal promoting your secure site is the ideal way to help customers feel safe and confident in using your secure online services. SSL stands for Secure Sockets Layer. Build Trust, Boost Conversion and Increase Sales! Immediately inform customers that they can trust the software download by verifying code integrity and company legitimacy. Get Organized Effortlessly With Easy Certificate Management. HackerGuardian helps you automate PCI compliance reporting. Fast and easy. Quote Manager within Comodo One MSP allows for easy and accurate creation of service quotes. The SSL Reseller Programs provide the unique ability to integrate Comodo’s highly trusted line of SSL products into your own product offerings. CA partners benefit from their own branded sign-up areas for customers, huge discounts on Comodo retail prices and full online management facilities. Create strong, reliable revenue streams by reselling Comodo's wide range of enterprise threat prevention and device security/management products - including Comodo One, Comodo Internet Security, Comodo ITSM, cWatch, SecureBox and Comodo Dome. Please have your order number available. Register an account at support.comodo.com and submit a ticket. Our mission is simple, to Create Trust Online. The rapid acceptance and deployment of the internet has transformed how we build and share information today. Financial transactions, healthcare records, personal information, and government data all pass instantly through technology systems at record pace. Internet technologies have revolutionized the way people communicate, governments manage, businesses operate and society functions. But with innovation always comes risk. 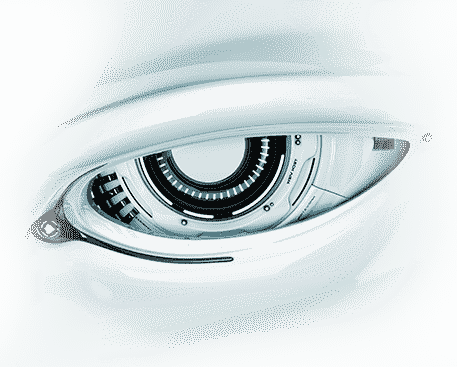 Security is always the last layer to be added in any transformational idea, and malware and cyberattacks now threaten the economic and societal progress that these technology tools provide. They have created an environment of vulnerability and exposure, where individuals and corporations can't feel they trust the experience of being online, of collaborating across geographies, of exchanging information safely. Enter Comodo, a company that has been built upon the very foundation of trust, believing that every single digital transaction must have a built-in layer of trust and security. Thousands of companies and organizations rely on Comodo's technology to authenticate, validate and secure their most precious asset – information - and to combat constant malware threats and cyberattacks that are creating havoc on a global scale. From the individual to the corporation, everyone has the right to a trustworthy and secure environment and it is the job of Comodo to provide the technology solutions that secure and preserve that experience. For the employees of Comodo, this is our life's work – creating an environment of trust for our current and future customers. Authenticating Individuals, Businesses Websites and Content: Authentication is at the heart of trust – it's the process of confirming that something or someone is genuine. Hackers are counterfeiters and impersonators - they thrive on deception. Trust is created when individuals, businesses, websites or software publishers are authenticated to ensure that they are who they say they are, and that their information has not been tampered with. This trust is the core of successful online businesses and trusted online interactions. Secure E-Mail – provides assurance of who e-mail really came from and that it has not been read or altered during transmission. Two-Factor Authentication – provides stronger authentication of people attempting to log in to systems, such as electronic banking, webmail or collaboration applications. Code-Signing Certificates – provide assurance of a software publisher's identity and that a software program being installed has not been modified or altered since creation. 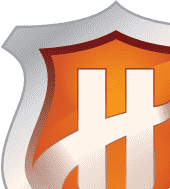 Verification Engine – provides visual verification that a website is a legitimate, rather than an impersonated/phishing site, and that the site's SSL certificate includes business validation. Content Verification Certificates – provide authentication of company logos, login boxes, order forms, authorized to accept credit card indicators, rate and price information, and other critical website content. Securing Information: Encrypting sensitive information at all stages of its lifecycle is a proven method of keeping it safe from hackers. Strong Public Key Infrastructure (PKI) encryption through digital certificates ensures that the encrypted information can only be used by authorized parties. Digital Certificates Servers of all types exchanging information over the Internet use SSL/Digital Certificates to create a private, encrypted channel of communications with those accessing them, preventing unauthorized access of that information by hackers. Securing Websites and E-Commerce: Uncovering and alerting IT organizations to vulnerabilities in their server/site's technical configuration or security procedures that could be exploited by hackers, and providing advice or solutions to eliminate them. A PCI Security Standards Council-approved scanning service that scans for vulnerabilities and provides reports, mitigation advice and the necessary documents to indicate quarterly PCI compliance. A Comodo Trustmark increases trust by informing visitors that the site is regularly scanned. Securing and Maintaining PCs: denying hackers access to the information and resources they need to succeed, such as your personal or business financial information, and at a more fundamental level, your computer's internet connection and processing capacity. 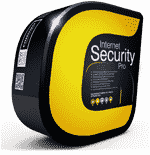 A complete set of software applications to increase PC security, performance and peace of mind. Award-winning Comodo software offers the latest innovations, and most of it is available for free to individual users. A personal computer geek or small businesses virtual IT Department delivered 24x7 through the Internet. Comodo handles just about any computer support and maintenance issue through a secure, remote Internet connection instead of having someone come to a home or office. Meeting tomorrow's challenges requires both leadership and innovation in our customer offerings as well as the way we run our businesses. Website security (SSL) certificates that validate key business details of a site are more difficult to obtain by cyber-criminals and are therefore more trustworthy than those that don't. Comodo technology and process innovation made us one of the first Certification Authorities to provide High Assurance SSL certificates well within the reach of even the smallest businesses today. Trusting the effectiveness and even the legitimacy of security software has become increasingly difficult. This is due to a lack of standards, and to cyber-criminals pretending to be security companies. So Comodo founded the Common Computing Security Standards Forum to mitigate malware risk and better protect consumers. Comodo Security Solutions, Pvt. Ltd.
Beijng Comodo Software Development Co. Ltd.
Because none of us can realize the full potential of the Internet unless it's a trusted place to interact and conduct business. Our dependence on computers and the Internet grows with each passing day, and so, too, does our vulnerability. The threats, that are primarily the work of highly-sophisticated organized crime groups, directly harm millions of Internet users each day and are eroding our trust in the Internet. Every individual or business using the Internet has a role in restoring this trust. The Comodo family of companies is providing the tools we all need to do it. It requires both leadership and innovation in our customer offerings as well as the way we run our businesses. Comodo Group, Inc. Comodo CA Limited Comodo Security Solutions, Inc. Comodo Communications, Inc.
© Comodo Group, Inc. . All rights reserved. All trademarks displayed on this web site are the exclusive property of the respective holders.